... the first of 44 Cookham Road's feature pieces which we will be bringing to you on a monthly basis (hopefully) from here on in! This month’s feature is all about my favourite Australian season – SUMMER, where long lazy days are spent beach side and balmy nights are spent outside by the BBQ. 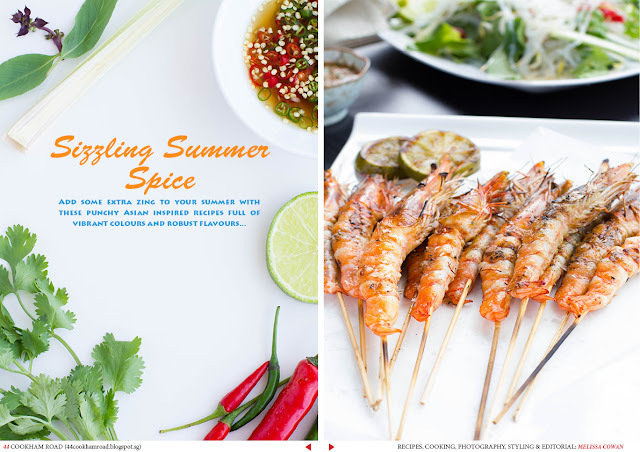 Inside you will find some of my favourite Asian inspired recipes to help you turn up the heat! Hope you enjoy the recipes as much as we do!